We have tubing to support all of your misting needs from outdoor cooling and fogging effects to humidification and dust control. Our typical spacing is 24 inches and port thread size is 10/24. If you require other spacing or thread sizes for your nozzles, please don't hesitate to call us. Stainless Steel: Our stainless steel tubing is provided in 8' lengths with nozzle spacing every 2' on center (4 nozzle ports per 8' section). We have 4 powder coated colors to match the color of your structure: Almond, Caramel, Cafe and Rust. 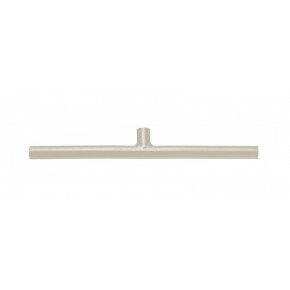 We have recently added 20" spacing for more mist coverage on your patio. 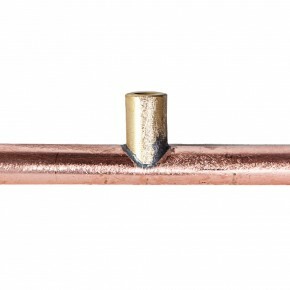 Copper: The copper tubing is 6' in length with nozzle spacing every 2' on center (3 nozzle ports per 6' section). 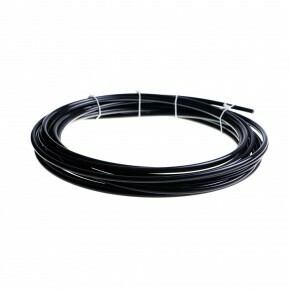 Nylon: The nylon is UV stabilized high pressure tubing designed for direct burial as a feed line or can be used for the mist line. It is always a good idea to "sleeve" the nylon tubing when burying it under concrete or flagstone. High Pressure Synflex Tubing 1/4": Offers a number of benefits including flexibility, durability, abrasion resistance, lighter weight material, superior chemical resistance, high pressure capability and extended product performance. 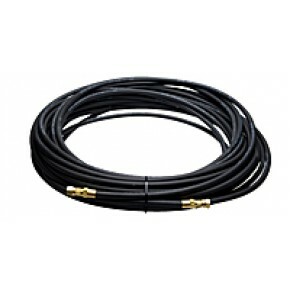 Synflex is used as a high pressure transition hose from the pump to the mist line. 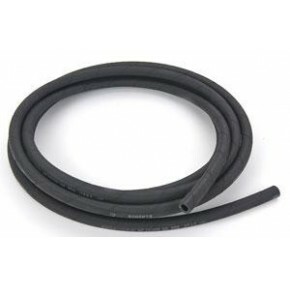 Water Feed Hose: This rubber hose is a non-conductive 300 PSI Push-On hose used to connect the pump to the waster source. 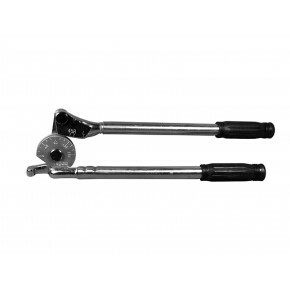 We typically use the 3/8" I.D. hose on our pumps. 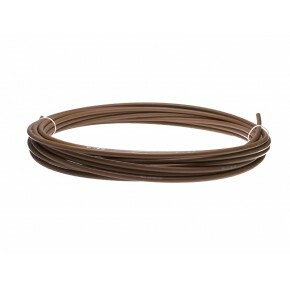 6FT Copper Prefabricated Mist Line 3/8" O.D. 3/8" High Pressure Nylon O.D. 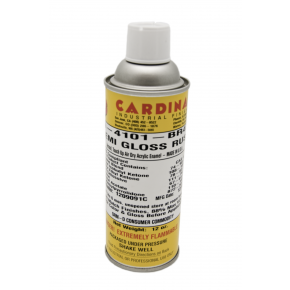 1/4" High Pressure Nylon O.D.